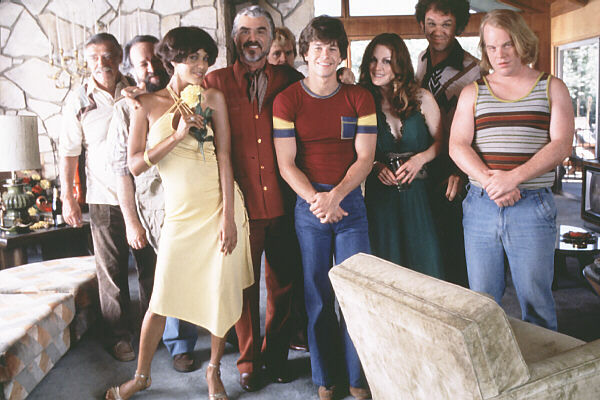 Just a few of my very favorite stars from "Boogie Nights." See, these are not just favorite films. They are the 30 most favorite films of the participating critics and filmmakers. (I suggested some online critics be included, so some of my favoritest -- including Dennis Cozzalio and Andy Horbal -- were also invited to contribute faves.) The last such Steadycam poll was in 1995, and although many of these movies are also on the AFI 100, I really enjoy the eccentricities and idiosyncrasies of these individual and collective selections. 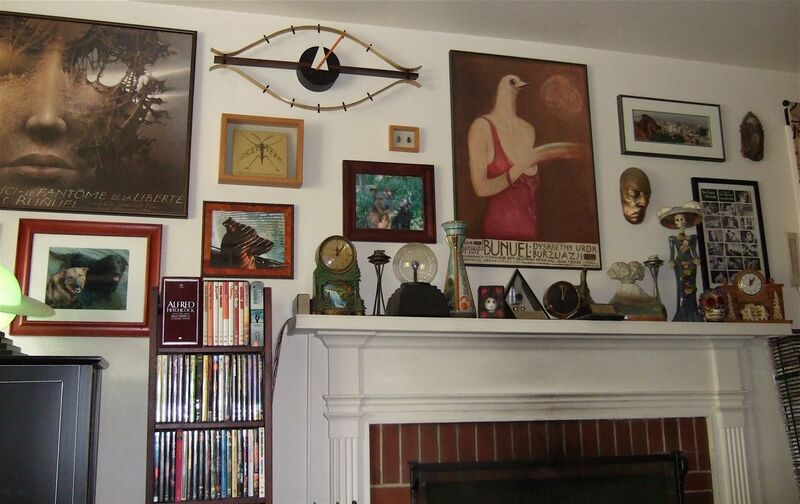 This is one of the walls (viewed from the comfort of the Man Chair) that helped me generate my list of lieblingsfilme. Note prominence of Keaton (life mask) and Buñuel. In choosing my favorites (mainly by using my memory and glancing around the room at shelves and posters), I emphasized the impact these movies have had on me, my joy at revisiting them, and my desire to see them again. And yet there are so many personally indispensable movies that aren't on my list, either because they got crowded out as I filled up the slots or because I neglected to think of them at that moment. Like I said, the films on this list that I have seen (especially the inclusion of "Our Hospitality," "Liebelei," "In a Lonely Place," "The Far Country" and "Heaven's Gate") make me all the more curious to check out the ones I haven't seen. Other contributors include Tom Tykwer ("Perfume"), Florian Henckel von Donnersmarck ("The Lives of Others), David Ansen, Chris Fujiwara, Richard T. Jameson, Kathleen Murphy, Robert Horton, Kent Jones, Peter Hogue, Harlan Jacobson, David Sterritt and Kenneth Turan. Got some lieblingsfilme you'd like to share?